Someone once told us that great things come in small packages. We agreed, so we took the best parts of regular bowling and made mini-bowling even more fun! This attraction is just like the real game but on a smaller scale and in a more relaxed comfortable environment. Check out our lounge and prepare to enjoy a fun environment that is great for kids and adults alike! 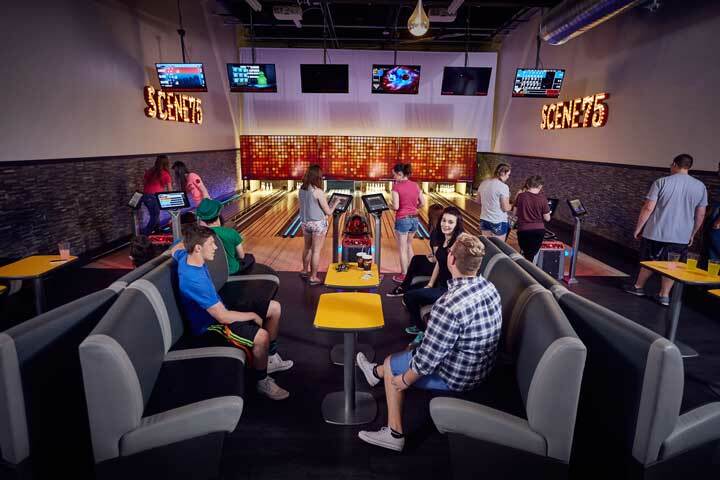 The Scene75 Cincinnati mini-bowl lounge features 6 lanes of mini-bowling with automated scoring. There is also a lounge area with couches, tables, projection screens and more for the bowlers to hang out and enjoy. This state-of-the-art 4-D zombie shooting experience takes you through an infested military base.